Our club printed race kit is currently provided by ProVision through our club portal. 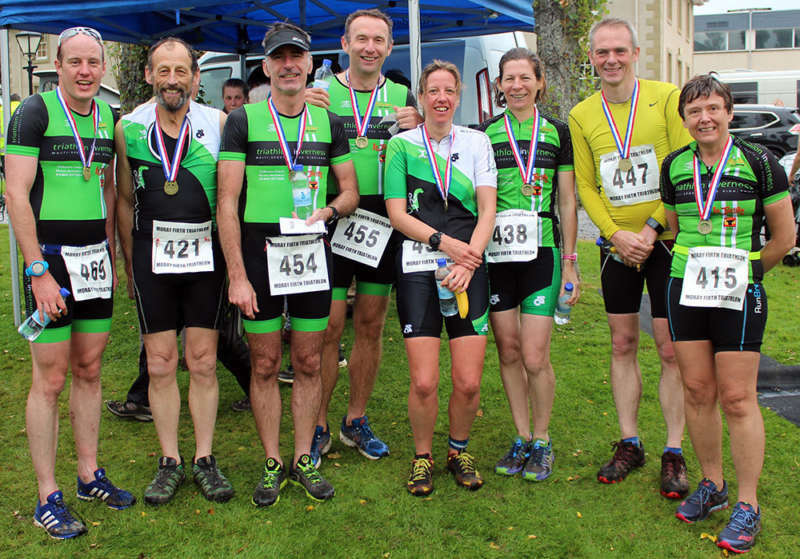 You’ll find a full race of triathlon and cycling race kit in club colours. Kit is available to club members at 20% discount thanks to generous sponsorship from Dalmore Guest House Inverness, La Tortilla Restaurant & Fletcher Sport Science. Kit order windows are opened up quarterly throughout the year, so keep an eye on your email and our facebook page to see when the next order window is open. Due to club specific printing the turn around of orders is approximately 8 weeks from the date the order window closes. All ordered are managed as one club kit order so the club can cover postage and packaging costs for members. To order and make use of the club discount please follow the order instructions below. Click on your item of interest, select size, select quantity and add required items to your shopping basket. Type Inverness to get the club 20% discount on your order. 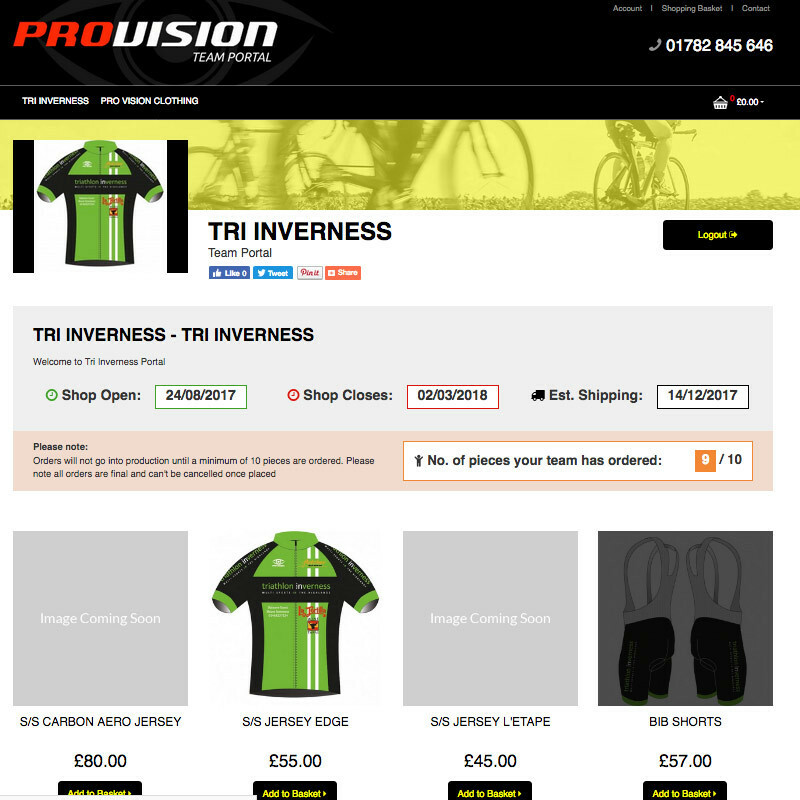 To ensure you don’t get billed for postage under ‘Delivery Method’ tick ‘pick up from store’ and in the add comments copy and paste the following text: Part of Triathlon Inverness club order. Post as part of the single club order delivery to: James Fletcher, Windsong, Blackpark, Inverness, IV3 8PW. The club also has a range of low cost club logo printed training tops, hoodies and rain proofs available. These are tackled as one club order, so keep an eye on your email for the next club wear order.